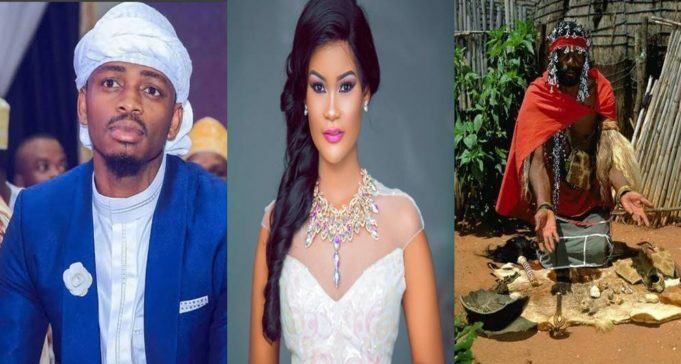 Tanzanian singer, Diamond Platnumz, has reacted to the leaked conversation between his baby mama, Hamisa, and a witch doctor. A few hours ago the audio said to be a conversation between mama Mobetto and an unknown witch doctor emerged raising eyebrows. In the leaked audio, Hamisa can be heard asking the witch doctor to make a charm to make her mother in-law like her, and also for the singer to marry her. Reacting to the leaked audio, Diamond Platnumz said that he has no reason not to believe the audio. The singer went on to add that he now fears for his mum’s life too.